Let’s get something very clear. I’m not a reader of Cosmo. But, that said, I did have a subscription to Maxim for a couple years and, let’s face it, you remove the gender slant and they’re really the same thing. So, when my review copy of Cosmo’s Official Cocktail Book arrived I tore into it in search of the lost secrets of how to please my man and get him liquored up in the process (wait a sec…). What I found was a pretty good collection of cocktails and some fun stuff thrown in for kicks. 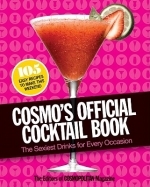 The recipes in Cosmo’s book, not surprisingly, lean toward the sweet side, but they do add some fun ingredient twists and they’re actually not half bad cocktails. In addition, throughout the book you get little quizzes, tips, facts, etc. On top of all that there are a pair of features that I really like. First, the recipes are all fairly simple with easily accessible ingredients. And, on that note, if there is an ingredient you’re not familiar with you can look it up in the back of the book to get an idea of the flavor, etc. Second, there is a “Cocktail Crash Course” section at the end of the book that introduces the tools, spirits and some pointers from a bartender. These features make the book accessible to cocktail mixers of all skill levels, which I think is exactly how books like this should be. I do have one complaint, which was pointed out by my loyal test subject, the cocktail pictures don’t always show the true look and color of the cocktails. While this is likely not a problem for a guy, it was pointed out that some ladies out there might pick cocktails to match a color palate. So, knowing that, make sure you mix up a sample cocktail to see if the colors work and, bonus, you get to drink the sample. First, let me say 70’s blenders are rarely going to get you a picture perfect frozen drink. Mine sure as hell didn’t, but enough whining. Like a number of cocktails in this book, the Blood Orange Bonanza is very pink. But, like cocktails in the past, I’m going to let that slide. It’s all about the flavor, right? This drink was a little too sweet for me at first, but it was well received by Elisabeth. And, as the ice melted a bit the sweetness was cut and the overall flavor is quite nice. 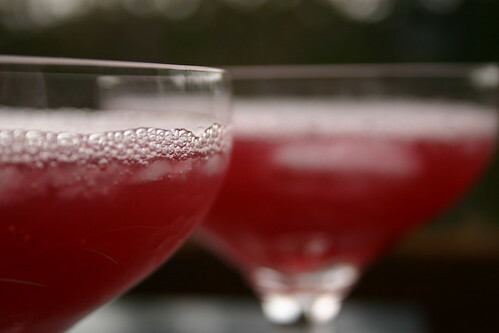 The liqueur offers some bright fruit flavors and the rum rounds it all out. I could have used a bit more sourness in this for my taste, I’d say a touch of lime juice or even blood orange juice would do some great things. I added about 2 oz of prosecco once I’d had my initial sips and was really pleased. The prosecco cut the sweetness and gave the drink a really pleasant effervescence. I’d definitely suggest giving that twist a try if you mix up this cocktail. We also mixed up a few others from the book so keep an eye out for the recipes and my thoughts. The words American Lager generally illicit thoughts of macrobrewed session beers and all day drinking. That wasn’t always the case. 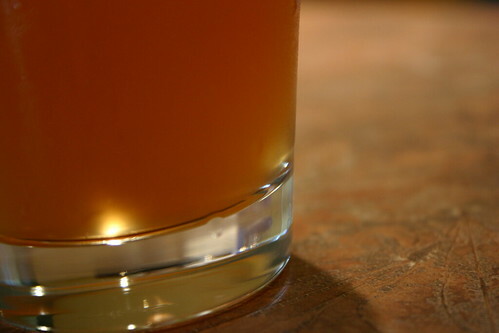 As beer became popular in the United States lagers quickly became the favorite of the nation. That being the case, the lagers of that era were merely relatives of the mass produced lagers of today. Then came Prohibition. Breweries were shuttered, barrels of beer smashed and recipes lost. Sad times indeed. When the dark days finally ended the beer landscape was changed forever. The old recipes were gone ushering in a new era of far lighter lagers. That is, until a couple years ago when Coors Brewing unearthed a pre-Prohibition lager recipe in their archives. Thus, Batch 19 was born and it’s good, quite good. Batch 19 makes its first impression visually. With a medium amber/honey color Batch 19 is darker than the lagers of today and carries less carbonation and thus virtually no head. The aroma is very crisp with almost a cider-like quality, fruity and very light on the yeast. The flavor has a touch of hoppy bitterness and yeast with a very light sweetness. Batch 19 has a great dry quality that makes you want to keep coming back for more. While Batch 19 has qualities of a session beer, it is certainly a step above your standard macrobrew. This is definitely a beer I would order out. I started this week eager for a unique and interesting cocktail. Something that was a step away from what I’ve been mixing for a while. While I got unique and I got interesting I, sadly, did not get tasty. The Champs Elysées is a riff on the classic sour and seems like it should be good. And after some tweaking, and a lot of dumping out, I got it to sorta good, but certainly not something I’d ever order. Let’s take a quick run down of the recipes and talk about the short comings of each. A quick note before I get rolling, if I say Chartreuse it’s meant to imply green Chartreuse, yellow will be noted specially. Essential Bartender’s Guide (1 oz Brandy, 1/4 oz Chartreuse, 1 oz Lemon Juice, 1 Dash Angostura) – Holy crap this cocktail is ungood. It’s very sour and nearly undrinkable. I added 1/4 oz of simple in an attempt to tame the sourness and that helped, but not enough. Erik Ellestad of Underhill-Lounge chimed in on my intro post that the original Savoy recipe (next in line) was difficult to convert to a single cocktail but suggested that he uses his standard sour recipe. I took his advice and tried this in sour ratios (2 oz Brandy, 1 oz Lemon Juice, 1/2 oz Chartreuse, 1/2 oz Simple Syrup, 2 Dashes Angostura). This is certainly better than the first recipe though now I was feeling the need for more sour. I added 1/4 oz more lemon juice and found a drink that was palatable but still really lacking for me. Savoy (1 oz Brandy, 1/3 oz Chartreuse, 1/2 oz Sweetened Lemon Juice, 1 Dash Angostura) – This recipe is the classic. Problem is, it was originally formulated for 6 and who the hell knows what sweetened lemon juice is supposed to be. So, I winged it. I used 1/2 oz of lemon juice and 1 tsp of superfine sugar. The drink was not terrible, but still far from good. Strongly herbal with a good sweetness level. I’d drink this one (which is a step in the right direction) but it definitely isn’t something I’d ever order. Bartender’s Bible (2 oz Brandy, 1/2 oz Yellow Chartreuse, 1/2 oz Lemon Juice, 1/2 tsp Superfine Sugar, 2 Dashes “Bitters”) – I had help from Elisabeth in tasting these and I think she summed this one up very nicely, “It smells really good, almost like an apple. Tastes like pond scum.” Okay, I wouldn’t go so far as to say pond scum myself, but this is still not what I’d call a great cocktail. Difford’s #8 (1 3/4 oz Brandy, 1/4 oz Chartreuse, 1/2 oz Lemon Juice, 1/2 oz Simple Syrup, 3 Dashes Angostura, Egg White [Optional]) – The Chartreuse being only 1/4 oz in this recipe is what saves it. The herbal flavors are reduced allowing the brandy and lemon to shine. Could still use a bit more lemon in my opinion, but this is getting close. Okay, I’m seriously tired of this cocktail at this point and really hold no hopes that I’m going to be able to turn this into a winner, but I will offer you my recipe. I followed Erik’s guidance and made it along the lines of a sour. You’ll note it’s a lot like the Difford’s recipe, that’s no accident. I bumped up the sour and added a bit more brandy to compensate, but left the Chartreuse subtle. If you’re dying to make this cocktail, give this recipe a try. I won’t make any promises that it will be delicious or that you’ll like it. But, it will, at least, be palatable. On that note, I’m moving on to something far tastier. Care to join me? When you hear the words “Puerto Rican Rum” you’re likely to think of the 1,000 lb gorilla in the room, you know the one. But you’re limiting yourself if you stop there. There are lots of other great distilleries on the island. For example, today I’m reviewing DonQ rums. While DonQ has been around for 145 years there is a distinct possibility that you’ve never heard of them. That’s due largely in part to the rum being unavailable in the US for a number of years only recently having been reintroduced in 2006. Before I get on to the tasting notes I want to point you to a page on the DonQ site that talks about their sustainability practices. I think it’s really cool when companies do everything in their power to reduce their environmental impact. DonQ is doing just that, and taking it truly to the next level. Well done. Cristal – Crystal clear with aromas of caramel, vanilla, and butterscotch. The flavor carries the same sweet notes as the aroma and adds very slight notes of fruitiness. The finish is medium in length and carries on the spiciness, but there is something more there than just the vanilla, but I can’t put my finger (or tongue) on it. Very pleasing finish and overall a nice white rum. Gold – Light honey color with strong vanilla and caramel aroma with solid sweetness. The spice notes, specifically allspice, are intensified here. Strong vanilla in the flavor, but less spice than I expected from the nose. Long finish with lots of vanilla and spice. A solid gold rum with clean flavors. Añejo – Honey colored with a sharp aroma very similar to bourbon in terms of spice and vanilla qualities. Distinct wood flavor from the aging starts coming through here. The mouth feel is really special with this rum. Very full bodied and creamy, almost like melted butter. Your mouth gets a great coating of the rum with flavors of sweet dough, figs, butter, vanilla, Christmas spices and caramel. The finish is medium/long and leaves you wanting another sip. Really enjoyed this rum and would definitely drink it neat. Gran Añejo – We had a bit of anxiety starting the tasting of the Gran Añejo. We’d built our way up to it so much so that there was almost a worry that it wouldn’t meet our expectations. And truly it didn’t meet them, it exceeded them. The color of well polished teak this rum is visually striking. The aroma is less punchy than we found in the añejo with the vanilla, spices and caramel having blended and mellowed into a delicious harmony. The mouth feel is still coating, but not as much as the añejo. Flavors are, like the aromas, well blended and mellowed with notes of butter, vanilla, caramel, spices (nutmeg, allspice, cinnamon) and dried cherries. The finish is medium in length and leaves your palate very clean and craving more. I would sip this rum over the course of a evening. Taking a sip, savor the flavors as they fully run their course before taking another. Truly a great sipping rum. If you’re looking for a new rum or simply looking to change things up, then you you should definitely keep DonQ in mind. From the Cristal and Gold for mixing to the Añejo and Gran Añejo for slow sipping, you’ll be very pleased. In addition to their standard line, DonQ offers a range of flavored rums. Keep an eye out for reviews of those to come. I’ve been making a lot of cocktails out of Vintage Spirits and Forgotten Cocktails of late, but my library runs much deeper. So, in an effort to break out of my routine a bit I perused Anvil’s drink list this morning for inspiration and made a quick list of a few I haven’t tried. If you haven’t taken a careful read of Anvil’s drink list you definitely should. It’s a who’s who (pardon the bad euphemism) of classic cocktails. In fact, most of the drinks I’ve featured here are on that list. So, it’s a good bet that if a drink is on the list, it’s good. Now for less rambling and more drinking. From the short list of cocktails I picked the Champs Elysées to mix up. Interestingly the recipes I found for this drink are all over the board in terms of ratios. Should be very interesting sampling them all. To get us rolling I’m going to start with Robert Hess’ recipe from The Essential Bartender’s Guide.